These 10 key career success questions will eventually be asked whether you are new or old in the workplace. Whether you are thinking of quitting or staying in a particular job. If you want success with your career regardless of your chosen field, you will find yourself asking these pertinent questions. 1. Am I Doing What I Love? Sure, this is the most romantic question that is being asked all the time. And this question is being asked most often when the going gets tough at work. People like to believe that if they do not do what they love then they should quit, and use it as a rationale to quit. They also like to believe that success only follows those that do what they love. This unfortunately, is not true. Pursue what you love and have a plan for it. Be willing to sacrifice for it. But it isn’t the only route to success. Are you doing what you love? This is the first of the 10 key career success questions you need to ask. 2. Can I Love What I Do? When you are caught in a rut or when you start to question what you do, tell yourself this – not many people can be astronauts or presidents. So if you cannot do what you love, can you love what you do? I don’t think many people grew up writing essays that say, “When I grow up I want to be a bus driver”, yet I know bus drivers who are successful and happy. 3. Do I Know What I Want? 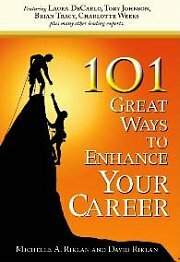 Next on the list of 10 key career success questions is - do you know what you want? What do you want in life? Saying being rich is not enough. What do you want to do with the richness you want? Do you even know yourself? What are you truly good at? Do not answer this question by saying what you do not want because, there is only ONE thing that you want and the challenge is to pinpoint that. 4. What Do I See Myself Eventually Doing? In the long term, where do you see yourself? What sort of company will you join? What position will you have? Is what you are doing now contributing to that goal? This is an important question in the list of 10 key career success questions. What keeps you awake at night? What gets you going? Think about what is it that makes you do the things that you do. What were some of the things you were proud of doing? What are the things that you sacrificed time, effort and money to do? While the answer is in all of us, many find this question tough to answer amongst the 10 key career success questions. 6. What Career Goals Have I Achieved So Far? This question gives you an idea of how far you have come. It can put into context your journey and where you want to be. It will also put into context your sacrifices so far. This question among the 10 key career success questions also puts into context how far more you need to go. 7. Am I Constantly Improving Myself? Here we aren’t just talking about technical skills. We are also talking about points of improvement from simple things like time management to leadership skills. Are you taking time and making the effort to improve yourself and keep with the times? 8. What Am I Doing To Get Where I Want To Be? It is interesting that many people can tell you where they want to be. But to test how serious they are in getting where they want to be? Ask them what are they doing about it. You will find that they may have a lot of plans but plans are only plans until action is put into them. This question among the 10 key career success questions makes you discover if you are all talk and no action. Remember, action is what turns dream into reality. 9. Am I Willing To pay The Price? So, you know where you want to be. But are you willing to pay the price to be successful or to reach your goals? The journey to success is filled with obstacles that ensure only a few succeed. Otherwise this world would be overflowing with successful people. What are you willing to sacrifice? How much are you willing to sacrifice in order to reach your career goal? 10. Who Can Help Me? No one can succeed alone. You need help – whether to teach you, point you in the right direction or even to offer words of encouragement. Do you know who are these people who can help you on your journey to career success? These 10 key career success questions aren’t as easy as filling in a form. Take the time to ponder over them and ask yourself these tough questions on your quest to career success. 5 tips on how to keep your boss happy and advance in your career. Have you ever wondered what it takes to be number one? Here are the simple, basic truths to get you there. Great Employee Qualities: Do You Have Them? What are the great employee qualities your boss will appreciate? You Have Talent - So What? Managers care more about other things more than work talent itself. Here's why. 6 practical personal principles to guide you in your quest to rise to the top of the corporate world. Achieve excellence at work by putting urgency, actual doing and completing daily goals consistently. Become Number One: What It Takes? What can make you become number one in what you do? Here are 5 essential steps to guide you. Are you giving your best, but still not moving up? Here are 4 strategies on how to move up the corporate ladder, successfully. What Are The 10 Key Career Success Questions You Need to Ask & Answer Yourself? Start by asking "Am I Doing What I Love? ".